A statement issued in Chennai by the party's Coordinator and Deputy Chief Minister O. Panneerselvam and Joint Coordinator and Chief Minister K. Palaniswami asked party members not to have any contact with K.C. Palanisamy. Chennai: Tamil Nadu's ruling AIADMK on Friday sacked spokesperson K.C. Palanisamy after he urged the party to back a no-confidence motion against the Modi government if it did not take a favourable stand on Cauvery. A statement issued in Chennai by the party's Coordinator and Deputy Chief Minister O. Panneerselvam and Joint Coordinator and Chief Minister K. Palaniswami asked party members not to have any contact with Mr Palanisamy. According to the statement, the former MP acted in a manner bringing disrepute to the party. 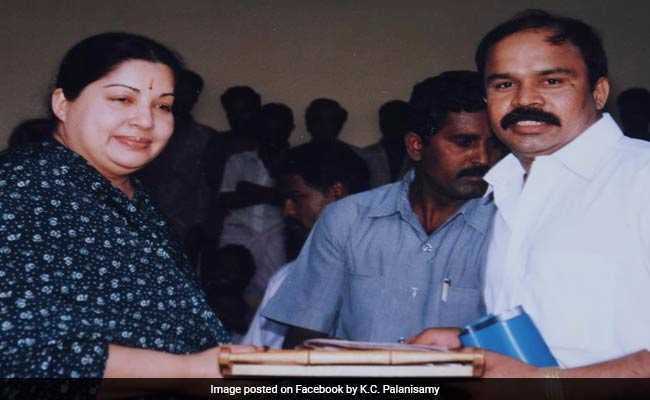 Mr Palanisamy, who was the first to oppose the election of the now jailed AIADMK leader V.K. Sasikala as party General Secretary, had taken a stand slightly different from that of the party leadership over the no-trust vote introduced in the Lok Sabha by the TDP. While the AIADMK statement was silent on the reasons for the dismissal, Palanisamy had told IANS earlier: "If the centre refuses to set up the CMB and the Cauvery Water Regulatory Committee (CWRC) as the Supreme Court ordered, the AIADMK may support the no-trust motion." Reacting to his dismissal, Mr Palanisamy said: "I am not taking back what I had said. I fail to understand as to what is wrong in my statement. "By my dismissal, the two leaders have proved that they are slaves to the BJP. The AIADMK is not under the control of any one or two individuals."